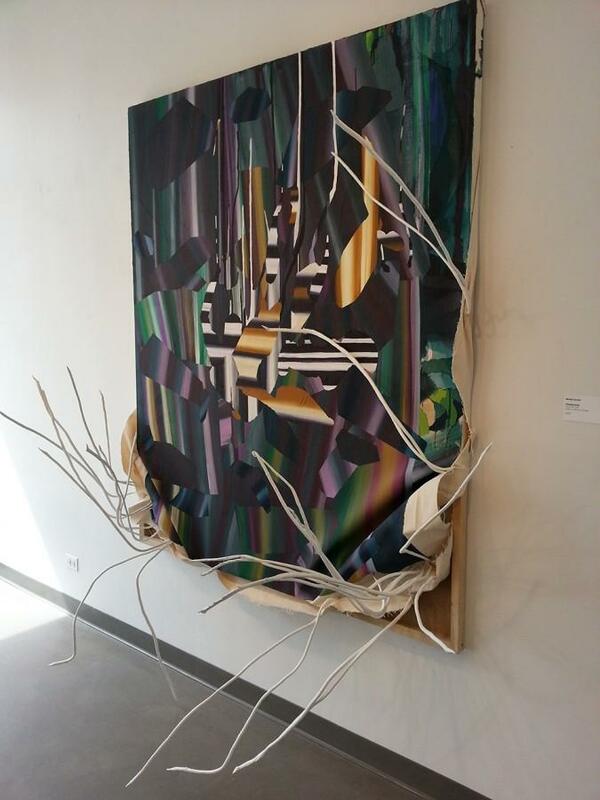 “Dimethylamine” by Melody Saraniti is one of the paintings on display as part of Evanston Art Center’s exhibit “Dialogue Chicago: 12.” The exhibit was organized as a celebration of the fifteenth year of Dialogue Chicago, a supportive community for local artists to practice. Dialogue Chicago will celebrate 15 years as a community for local artists to practice and grow their crafts with an exhibit at the Evanston Art Center that will run through April 17. The community began in 2002 as artist Sarah Krepp’s post-grad seminar out of her home studio for artists in the Chicago area. Krepp said the Dialogue Chicago seminar is important for visual artists in particular because they are often isolated in their professions. Dialogue Chicago has come to be a very lively artist community — both challenging and supportive, she said. Chicago-based artist Chris Smith, a Dialogue Chicago alumnus whose colorful abstract paintings are featured in the exhibit, said the group was the perfect place for him to get feedback on his work and give feedback to other artists. The group meets once a month and there are about 45 artists on the current roster, Krepp said. The artists are split into four groups, and during the meetings, artists bring their work in and submit it to their group for critique.